Behbehani Brothers Signs Agreement As The New Official Representing Partner For Lamborghini In Bahrain | Behbehani Brothers w.l.l. Behbehani Brothers W.L.L. announced that the company has been awarded the distribution and servicing rights for the pure and visionary Italian Automotive Brand, Lamborghini, in Bahrain. The formal agreement was signed by Steven Hill, Group General Manager, Behbehani Brothers and Federico Foschini (Chief Commercial Officer) and Paolo Poma (Chief Financial Officer) both part of the board of Automobili Lamborghini S.p.A., during the official visit held at the Lamborghini Headquarters in Sant’Agata Bolognese, Italy, on 26th October 2018. 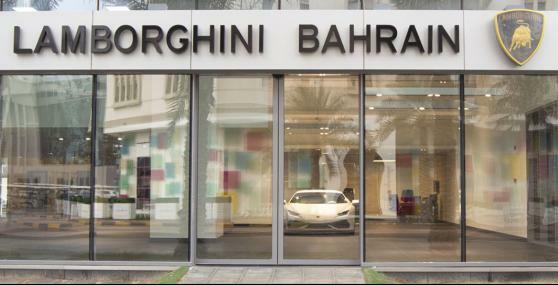 Under this agreement, Behbehani Brothers will take over the current Lamborghini Showroom located in the Seef District, which will continue to remain as the base of the sales operation. For aftersales, customers will now enjoy access to the new and exclusive state of the art Group Service facility located at their main site in Sitra. Furthermore, it was revealed that there are plans to relocate the Showroom operations in the coming 2 years to a new improved facility, to further elevate the high standards reserved to Lamborghini customers.